So you just booked a cheap tickets to China and learned that Filipinos are required to hold a Chinese visa to enter the country, then you came to the right place. 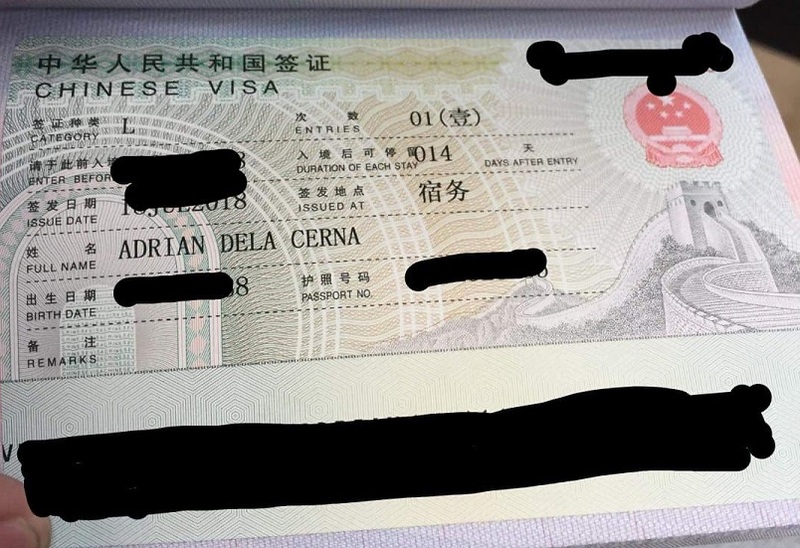 Unlike Hongkong and Macau(which are Special Administrative Regions of China), which currently entitled us Filipinos of a visa-free travel, visiting the mainland would require us a Visa. Recently the Chinese Consulate in Cebu has reopened again last March 2017 and it is now located in Mandarin plaza hotel(Don't be wrong by following what google search will tell you about the location, exact address posted below) which makes it more convenient for Cebuanos. 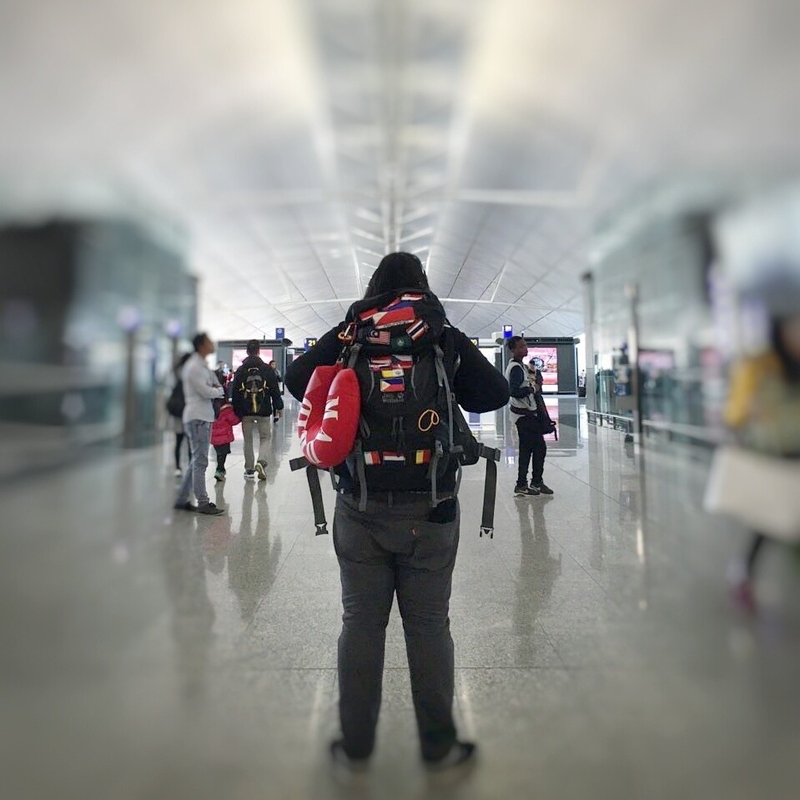 For this article, I will be listing out all the process and the experiences I have undergone while applying for a CHINESE TOURIST VISA without any sponsors. There is no personal interview for Chinese Visa and application can be submitted personally or with someone in your behalf just be sure to have the authorization letter ready. Valid Philippine Passport - Broken lamination of the photo part is not accepted. Must have a signature and have at least two (2) blank pages. They also want to check the old passports that you have so please bring this as well. Also have the bio and emergency contact page photocopied. Tip(s): Be sure that your passport is still valid 6 months on the date of travel. Visa Application Form - You can Download the Application form here . Tip(s): Be sure to answer all the fields and put N/A to those not relevant. Be sure not to leave blank items by adding N/A to it. For some reason they prefer a computer coded entry on the application form(aside from the signature ofc). Photo - Specs: 48mm x 33mm with white background. Photo must be pasted on the application form.They require 2 photo, 1 to be posted in the application form and one attached in the documents. Tips: Be sure to submit a clear copy of your photo to avoid providing a new one. Photo shops should know this for sure just indicate you need it for Chinese Visa. Round Trip Airline Ticket - Provide a copy of the confirmed flight itinerary. Tip(s): I was able to book a Piso Fare so this was not a problem for me and the ticket was from Manila - China without the Cebu-Manila leg yet. If you didn't book any yet you can just ask for a dummy reservation to any travel agency for a small fee which can be cancelled. Accommodation Reservation - Provide a copy of the confirmed accommodation booking through a Hotel/Hostel or Airbnb. Tip(s): I used booking.com for this one and I randomly select a hostel that match my budget and I look for the one that has "free cancellation" option in case worst scenario comes in( eg. visa will not be granted or I found something better). Travel Itinerary - Rough summary of your itinerary in China. Tip(s): Be sure to match all of your dates indicated on your itinerary and in the application form. It is OK that you cannot specify all list of activities on that day but as long as you indicate the summary of it. Bank Certificate - Must be signed by the Bank Manager. Should include 6 months bank statement and the receipt of the payment of the certificate Tip(s): Be sure you have an adequate amount of funds that can support all the activities you have in your Daily Schedule. You cannot just put in your accommodation that you are staying at a 5-star hotel while your bank can't support it. I submitted a 3 months bank statement instead of a 6 months as this is what my bank can process and did not get a receipt upon request. Income Tax Return (original and xerox copy) - If employed. Tip(s): Be sure to provide a xerox copy since the original one might not be returned to you. Certificate of Employment - If employed. Tip(s): Be sure that all the information like tenure, benefits, and etc. is reflected in the certificate so there will be no problem. Visa Fee - The fee varies depending on the visa you are applying. Tip(s): Be sure to double check the form and instruction handed to you by embassy on how to pay the fee. Please note that the Chinese consulate in Cebu accepts applications on Monday - Friday at 9am - 11am, the same operating time for releasing. They will not allow applicants wearing shorts and bringing bags to get inside the office. I went to the Mandarin hotel early just to be able to finish early as well. Once inside the hotel I told the guards that I will be applying for Chinese Visa and they instructed me to use Elevator 4 and wait for the consulate assistant there. Upon arrival in the office, the standard security check will greet you and then an office personnel will ask you about your purpose. It turns out that they will give you a priority number depending on your purpose( I suppose 1 set of number for applying and another set of number for claiming). The process was smooth and orderly. It took me around 10-15 mins waiting for my turn and around 5 mins for my documents to be checked by the person in the counter. Upon submitting the documents the person in the counter instructed me that the processing time would take around 4 days and that they also have it express if I prefer it. 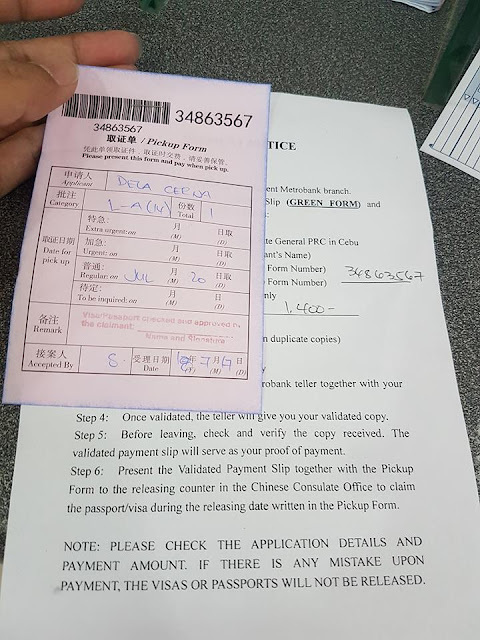 She handed me the pickup form(which also was the claiming slip) where an instruction on how to pay for the Visa Fee and date of the releasing was stated. 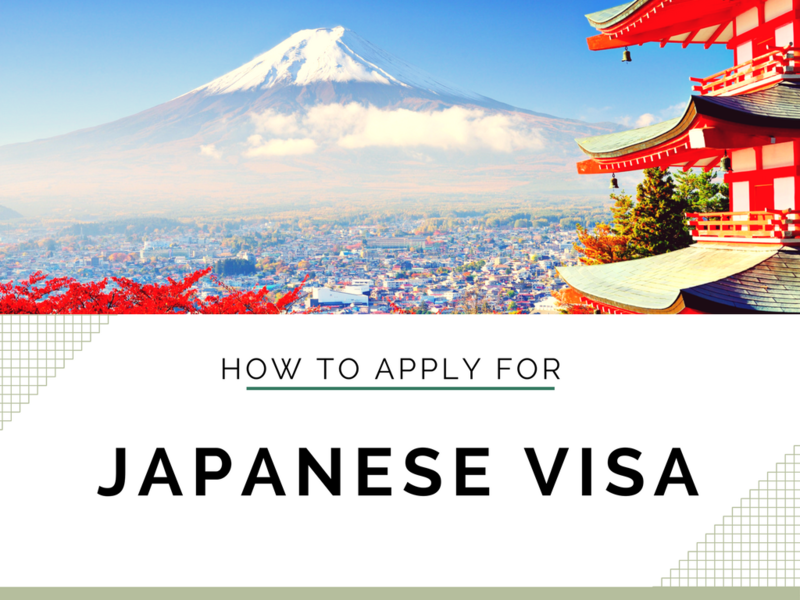 Paying the Visa fee is easy and self explanatory in the pickup form given by the personnel. Paid the fee, went home and waited for the result. I applied on a Tuesday and I expect that on Friday, I can now pick up my passport. Unfortunately, I was not able to claim it myself so I asked my cousin(shout out bot haha!) to picked it up for me. 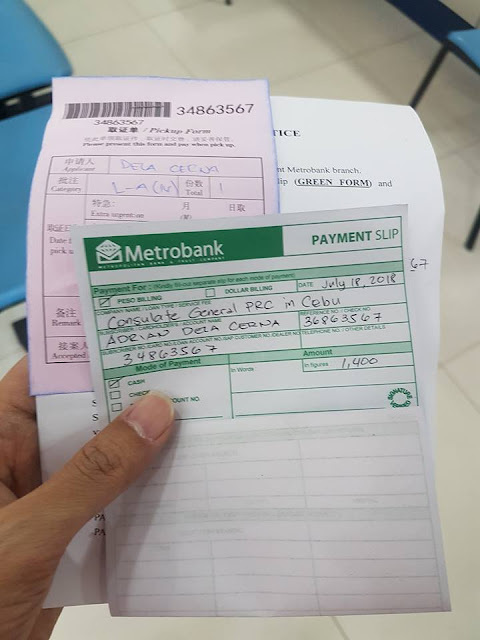 I handed to him the pickup form together with the payment receipt from metro bank and an authorization letter with a photocopy of my valid ID. 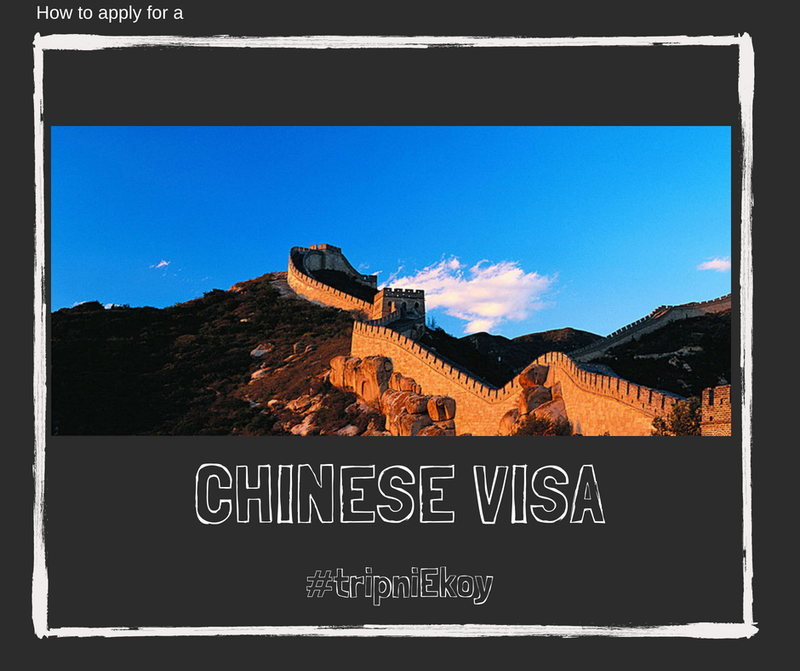 Have you tried applying for Chinese visa? Share your stories and experience in the comment section below. 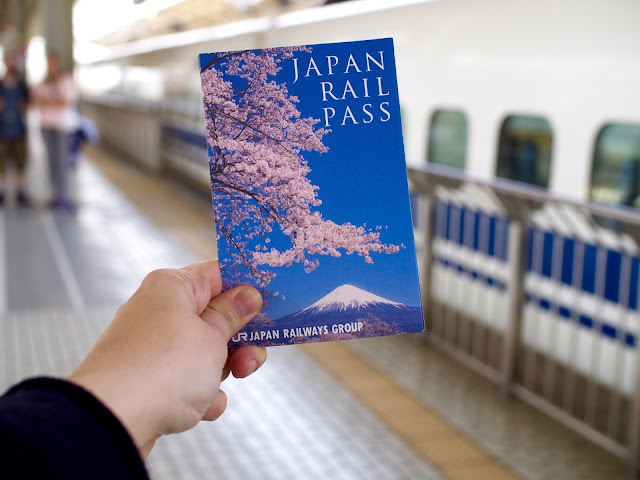 Japan Rail Pass (JR PASS) : Is it worth it? Copyright © 2016 Ekoy's World. Powered by Blogger.